Offering you a complete choice of products which include oxygen sensors. We have widest range of imported Oxygen Sensors for Oxygen Gas Analyzers and Dew Point Meters. 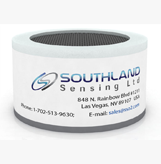 These sensors are designed and manufactured under strict Quality Assurance standards.